This is About to Happen for the First Time in 29 Months… | Energy and Gold Ltd. 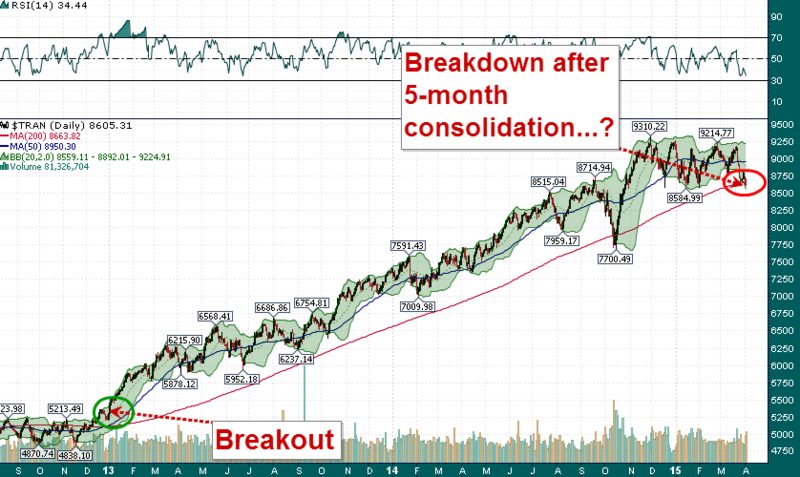 Occurring after a multi-month consolidation at the top of a large uptrend. 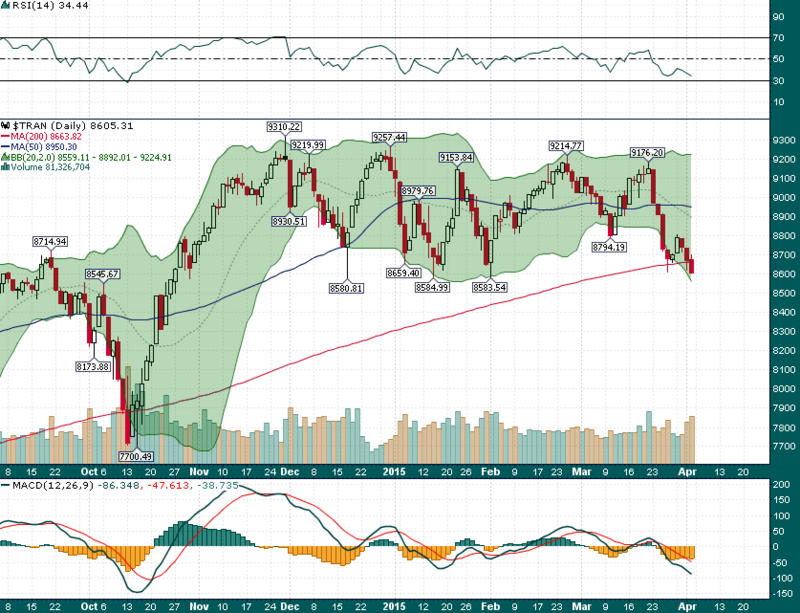 Thursday’s close was right at key support ~8600. The 50-day simple moving average is flat and beginning to slope downward (classic sign of a transition in trend). The October 2014 test of the 200-day SMA quickly found strong support and resulted in a powerful ‘V-bottom’. If price stays submerged below the 200-day SMA is a clear indication of a change in market character – simply stated, buyers are no longer as eager and sellers are becoming more aggressive. The stage is set for an important test for equities early next week and we should know a lot more about the strength of this market by Tuesday afternoon.